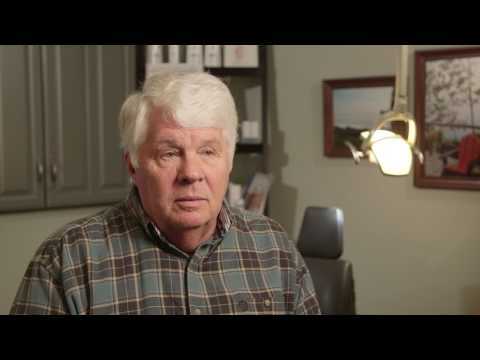 Did you know you can upgrade your dentures with the All-on-4 implants? Are you tired of ill-fitting dentures? Do you constantly worry about them moving when you speak or eat? Perhaps using adhesives to keep them in place has become a cumbersome chore. If you seek more durable and stable dentures, you have options. Our board-certified periodontist Dr. Donald J. Steinberg and his staff at DFW Implant Team in Bedford, TX offer All-on-4, a method of securing custom dentures to dental implants. This treatment option greatly extends the lifespan of your prosthetic teeth while improving your oral function and appearance. All-on-4 implants are embedded into the jawbone in precise locations to disburse the weight of dentures evenly in either the upper or lower jaw. Dental implants are small cylinders made of titanium. Since they are placed in the jaw, they will mimic the role that the roots of biological teeth play. The jawbone surrounding implants will eventually integrate to the titanium posts of dental implants, holding them in place for decades at a time. Call to schedule your consultation today. During the first appointment, Dr. Steinberg will take full mouth X-rays to determine where to best place the implants. The 4 implants will be placed in the upper jaw and another 4 in the lower jaw. The back 2 implants in each jaw will be tilted to increase contact between the bone and implant for greater stability. Once the implants are in place, patients will be given temporary dentures to wear for 2 – 6 months as the implants bond and anchor to the bone (osseointegration). Once the doctor determines that the implants are well integrated with the jawbone, the dentures will be screwed into the implant. Once in place, the All-on-4 denture system usually lasts 5 – 10 years. A big advantage of the All-on-4 system is that patients have an immediate improvement in the function and appearance of the mouth, including easier eating and speaking. Implant dentures should be cared for like natural teeth, with daily brushing and flossing along with regular dental exams and cleanings at the dentist. Today’s dentures are custom made in dental laboratories from high quality materials that closely resemble the appearance of real teeth. By placing the dentures over the dental implants, it will improve function over removable dentures. Patients with implant-supported dentures report confidence in their appearance. With All-on-4 implant dentures, patients can have the look and feel of natural teeth without the hassle of traditional removable dentures. All-on-4 dentures offer the best stability and long-lasting restoration for full mouth restoration. Although All-on-4 is a great tooth replacement solution, it isn’t always the best option for all patients. To find out if implant supported dentures are right for you, call our office to reserve a consultation with Dr. Steinberg.